No sweat. We'll teach you everything you need to know to take on your first climb safely and confidently. Fitness for an adventure-fueled lifestyle. Functional Fitness, Yoga & Pilates. We train hundreds of campers each month, and we've earned a 100% satisfaction rate with parents. What does it cost to climb? See pricing for day passes, monthly memberships, gear rentals and more here. All climbers must sign a waiver. Save time at check-in and fill yours out now! In this beginners' course, our certified instructors teach you the essential techniques, concepts & practices for safe climbing. 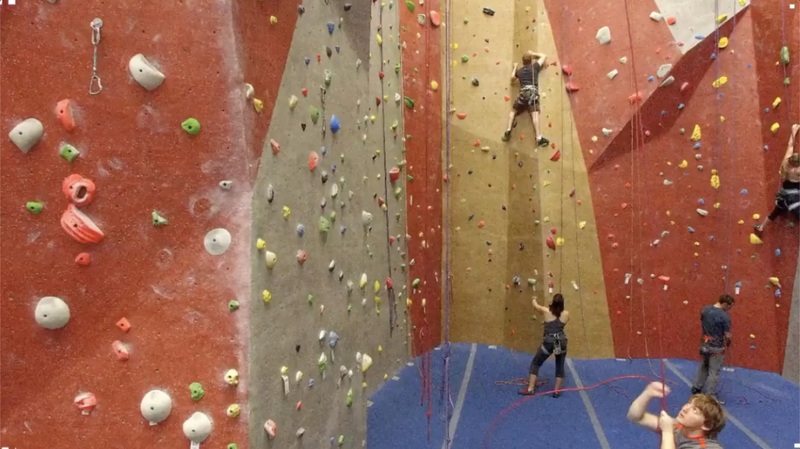 Perfect for climbers of all ages & abilities. We offer special youth programs for kids of all ages, which help cultivate new climbers and teach the values of teamwork and sportsmanship. Unlimited climbing access, monthly guest passes...these are just a few of the perks that come with your membership! Join our community today. Take a break from the rock walls to sharpen your balance, build strength and improve your agility. The benefits of yoga for climbers are widespread! Celebrate your special day at Triangle Rock Club, and we'll treat you and your guests to hours of climbing party fun. We offer memorable team-building activities for groups of every size and experience level. Find inspiration for your next big event here!